Can You Help Me Make My Own Baby Quilt? We sure can. 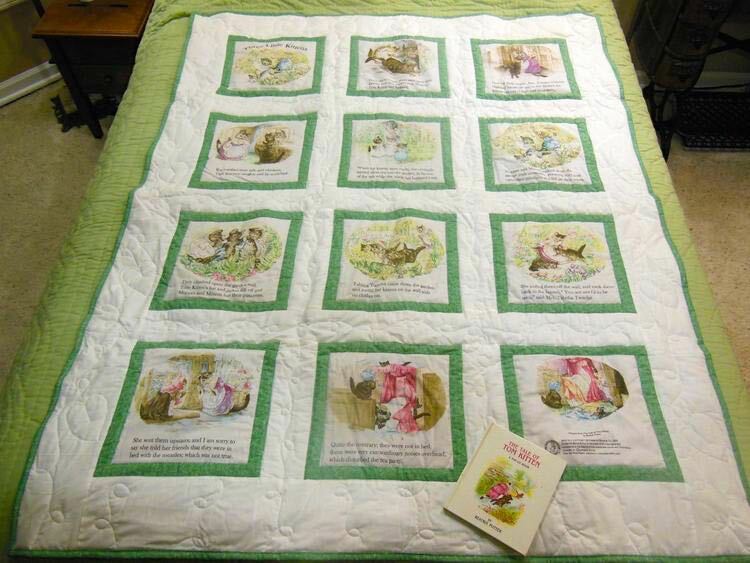 We can either make another baby quilt top for you to finish in custom colors and sizes or we can send you a set of the original Three Little Kittens book page panels you can finish yourself. 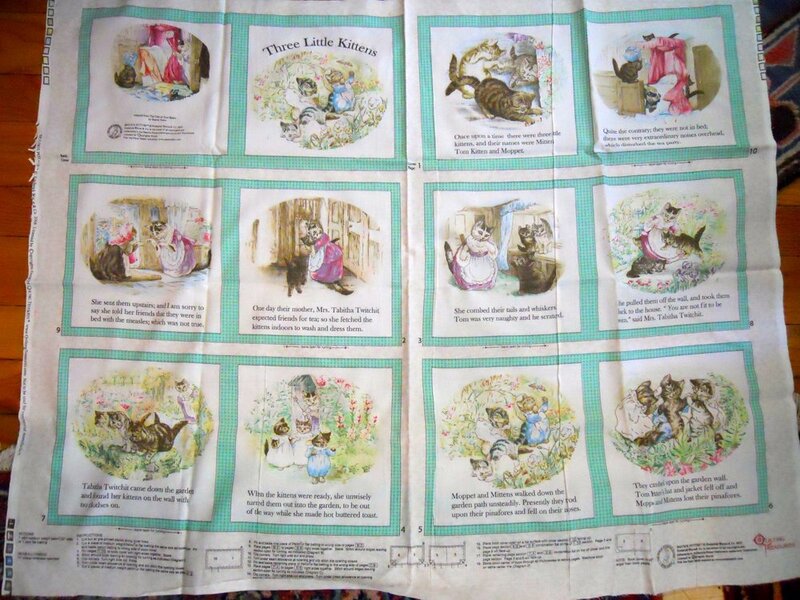 We have one panel set left from when we made the first Three Little Kittens baby quilt we now offer as a gift set with a complimentary Beatrix Potter book. Have fun making your own baby quilt and let us know how it turns out!